Fox News host Laura Ingraham is seeing a growing number of advertisers leave her show over a widely derided tweet in which she mocked Parkland survivor David Hogg. Ingraham apologized for her remarks on Thursday after Hogg had urged his followers on Twitter to apply pressure on sponsors of her program, "The Ingraham Angle." But Hogg, the 17-year-old senior at Marjory Stoneman Douglas who has emerged as a leader in the nationwide movement for new gun laws following the shooting last month at the school, has been dismissive of Ingraham's apology and continued to call for an ad boycott of her show. By Friday morning, more companies had distanced themselves from "The Ingraham Angle" despite her apology. "I think it's great that corporate America is standing with me and the rest of my friends," Hogg said during an appearance Friday on CNN's "New Day." Ingraham, a staunchly pro-Trump commentator, came under fire earlier this week when she tweeted out a story from the right-wing website Daily Wire about Hogg's rejection from four different colleges. "David Hogg Rejected By Four Colleges To Which He Applied and whines about it," she said. "(Dinged by UCLA with a 4.1 GPA...totally predictable given acceptance rates.)" The tweet prompted a swift backlash, as Ingraham was widely denounced for ridiculing a teenager and survivor of a mass shooting. "Laura Ingraham needs a few classes in compassion," tweeted the author Stephen King. Hogg urged his followers on Twitter to contact advertisers for Ingraham's prime time show, and by Thursday afternoon, after at least two companies had distanced themselves from the program, the host offered an apology. "On reflection, in the spirit of Holy Week, I apologize for any upset or hurt my tweet caused him or any of the brave victims of Parkland," Ingraham said on Twitter. "For the record, I believe my show was the first to feature David immediately after that horrific shooting and even noted how 'poised' he was given the tragedy. As always he's welcome to return to the show anytime for a productive discussion." She praised Hogg, saying that "any student should be proud of a 4.2 GPA." Fox News did not respond to multiples requests for comment and Ingraham has not tweeted about the matter since her apology on Thursday. Ingraham's act of contrition was seen by many as a response to the widening ad boycott. A year ago, Bill O'Reilly, then the biggest star at Fox, saw dozens of advertisers flee his top-rated program after a New York Times story revealed that he had paid multiple settlements to women who had accused him of sexual harassment or inappropriate behavior. Several companies -- including the Rachael Ray-partnered dog food brand Nutrish, the travel site TripAdvisor and the streaming service Hulu -- have indicated that they will no longer advertise on her show. 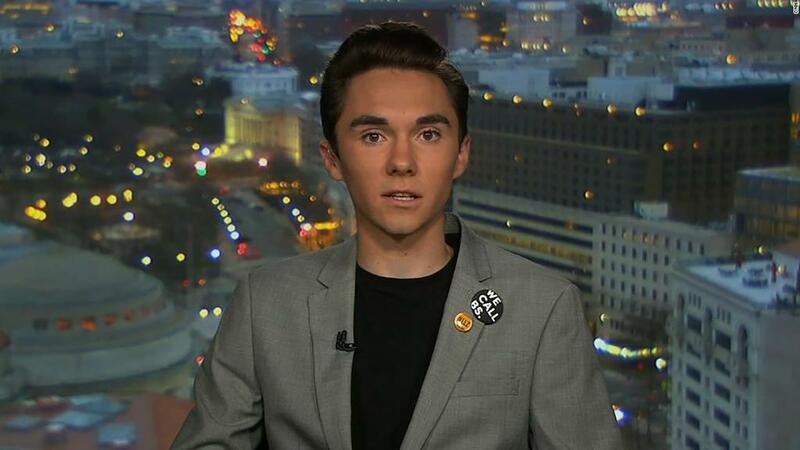 Hogg, who has gained hundreds of thousands of Twitter followers in the last month, has continued to publicly pressure Ingraham's sponsors. He told CNN on Friday that he was unimpressed with her apology. "She's only apologizing after a third of her advertisers pulled out," Hogg said. That unyielding response has drawn plenty of its own critics, particularly from Ingraham's defenders on the right. The conservative commentator Erick Erickson, who weeks ago called Hogg a "bully," repeated his criticism of the teen. "Having someone apologize to you then refusing to accept it unless conditions are met is what bullies do," Erickson said.